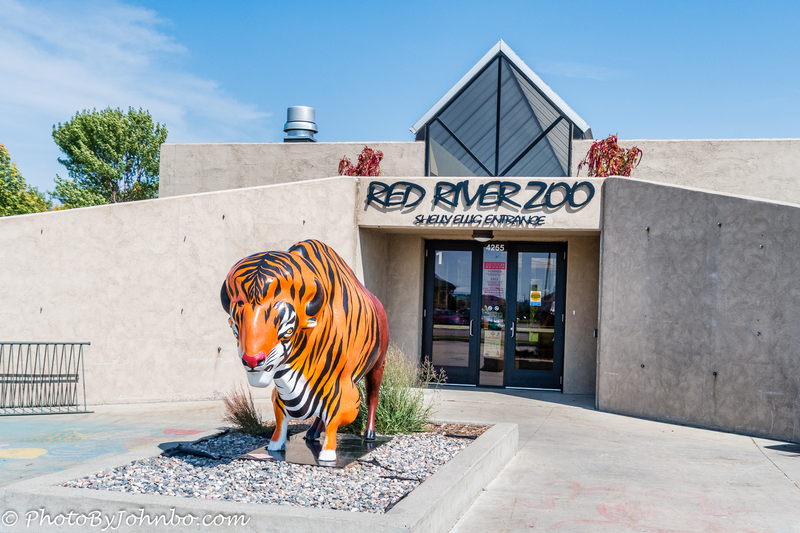 Fargo opened a zoo in 1999, and 18 years later, Lynn and I finally decided to visit. Not that we have anything against zoos or this zoo in particular. It just wasn’t a priority for us. A chance mention made me realize that our grandson, Owen, who lives with our daughter has been there several times. It was about time for Owen to show us what we’ve been missing. The first unusual animal is the tigeralo (what else would you call it?) As part of an art exhibit some years ago, painted buffalo are found all around the city. I’d never seen this buffalo painted in tiger stripes. I thought it is very creative and fitting for the zoo, though there are no big cats of any kind on exhibit here. The collection of animals are focused on species from climates similar to North Dakota’s. 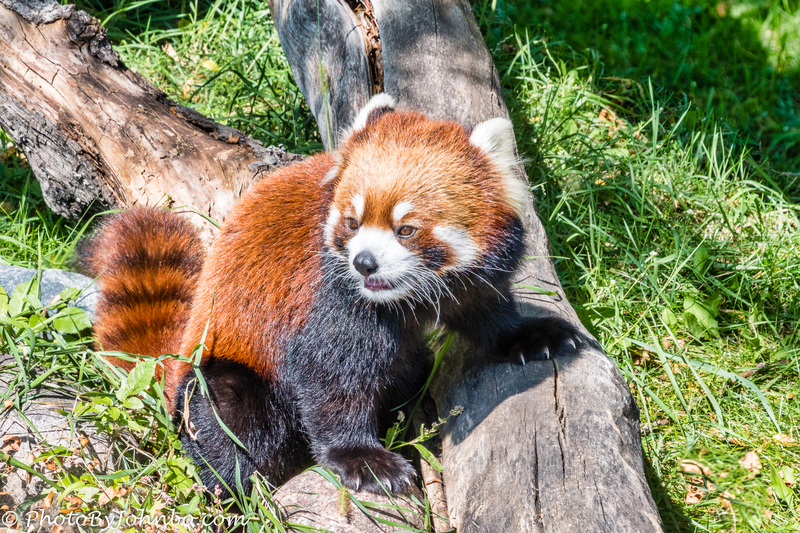 Probably one of the cutest in their exhibit is the red panda. This cute and cuddly looking animal is not a bear and is not nearly as friendly as it looks. Related to weasels, raccoons and badgers, it can have a temperament that is definitely not cuddly. Though it enjoys eating bamboo, the species is an omnivore and will try to eat almost anything it can put in its mouth. Though many of the images I captured at the zoo show the borders of their areas giving the impression that their habitat is small, there is more to their pens than the photos make it appear. The deer above found some shade to sit under on a warm day. 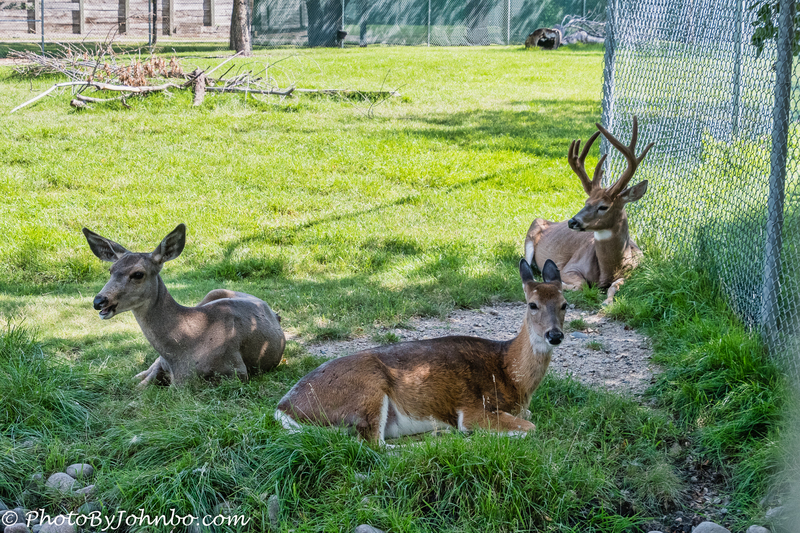 The large area they have to roam was mostly in sun so they chose to relax by the fence. 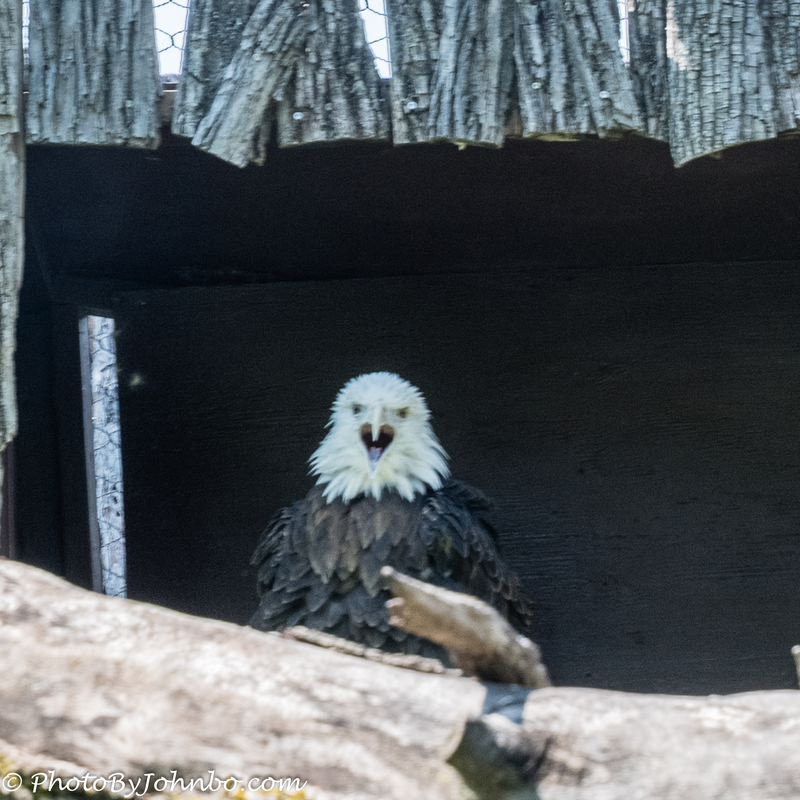 This bald eagle was sitting in a protective area apparently designed to give him shade. As I am writing this, I recall reading a sign indicating that he suffered some injury and was placed in the zoo to provide care. Truth is, I don’t remember the specifics as I am writing this and their website doesn’t mention anything about it in their listing of birds and animals on exhibit. 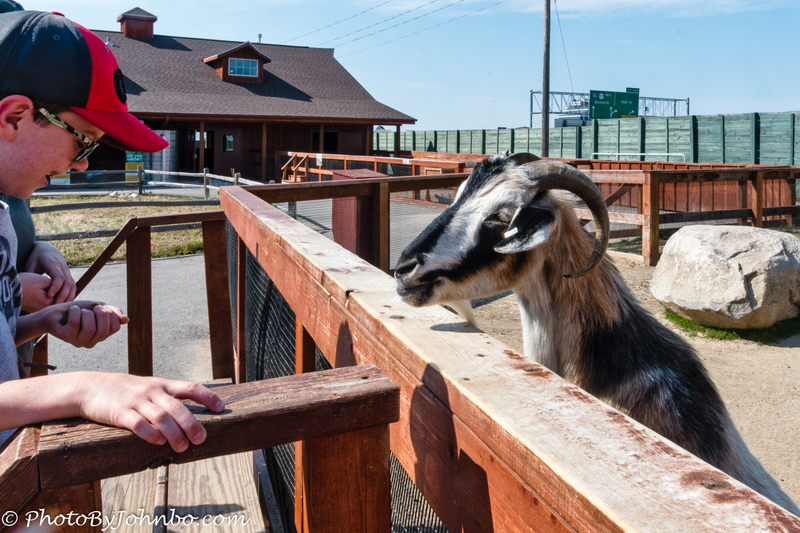 In the petting zoo area, a small garden of corn, wheat, and soybeans features the story of North Dakota agriculture. 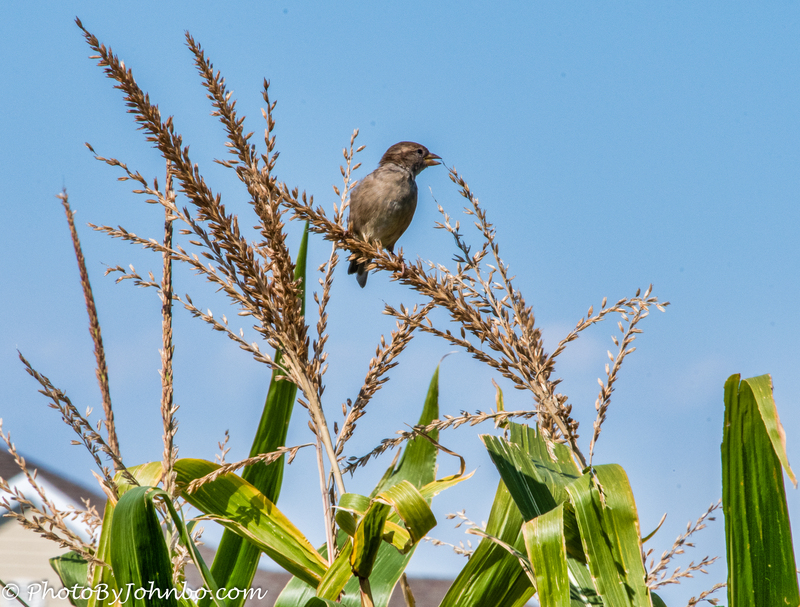 On a typically windy day, this bird was perched on the top of a corn tassel. The tassel was moving so much with his weight in the wind, I was surprised the bird stayed there as long as it did. 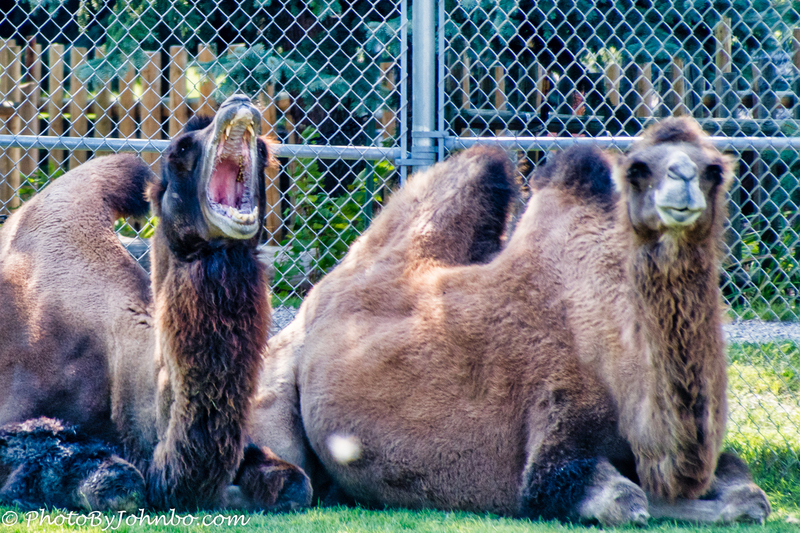 I was quite a distance from the Bactrian Camels but the 300 mm zoom brought them up close. I happened to catch one of them in mid-yawn, in a moment of boredom, or maybe he was proud of his two upper incisors and was just showing them to me. It would hurt to be bitten by a camel. As has been my latest practice, I’m uploading higher quality images. In most browsers, you can click on an image to enlarge it and to scroll through the gallery. Not only have I not gone to this zoo… I didn’t even know there was one there. I suppose because 99-01 I was juggling 2 jobs & enrolled in school, leaving for the land of cheese shortly thereafter… I agree, I’m going to try to make sure I don’t irritate any camels because those teeth look fierce.